That’s what Roman Abramovich wants for the barely-profitable London soccer club, the Times says. But Chelsea’s dependence on selling players and the need to rebuild its stadium makes it hard for a new owner to earn a return. Any buyer would have to put glory ahead of money. 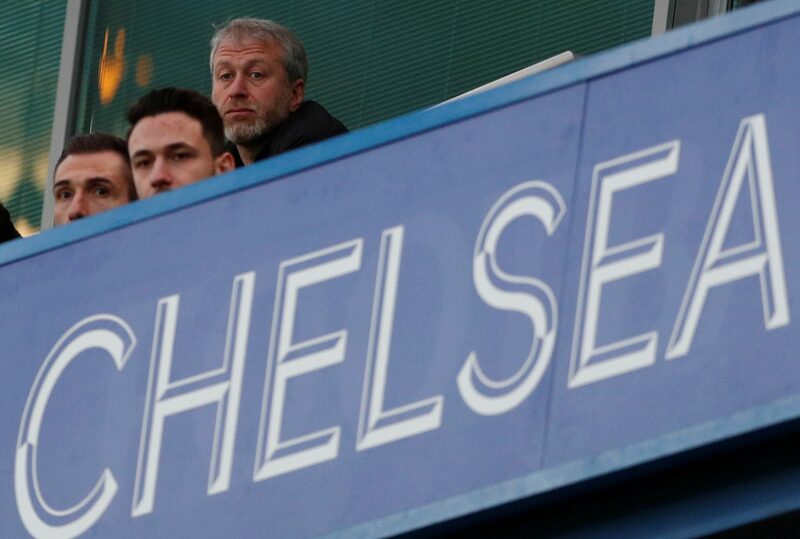 Chelsea owner Roman Abramovich in the stands. Roman Abramovich, owner of Chelsea FC, may sell the west London soccer club if he gets an offer of at least 2.5 billion pounds ($3.2 billion), the Times newspaper reported on Aug. 27. The Russian tycoon, who bought Chelsea in 2003, has received numerous sale enquiries after failing to secure a UK work visa. U.S. private equity group Silver Lake bid for a minority stake, according to the Times, and British businessman Jim Ratcliffe offered 2 billion pounds for the whole club. Both were rejected. Chelsea has hired advisers at the Raine Group to oversee a strategic review. The UK Home Office has made it harder for wealthy Russians to live and work in Britain after the poisoning of Sergei and Yulia Skripal in Salisbury. Abramovich’s visa problems led him to pause a planned 1 billion pound redevelopment of Chelsea’s stadium, reported the Times. A senior club official told Breakingviews that the club is not for sale and the owner has no intention of selling.